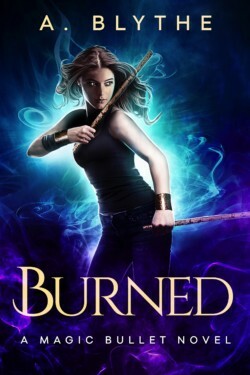 Covert agent Alyse Winters is a powerful djinni until she finds herself on the wrong end of a burn notice. Cuffed and cut off from her magic, Alyse is dumped in Philadelphia where her past is only too eager to catch up with her. Add a few supernatural murders to the mix with Alyse as the prime suspect and she’s ready to do anything to get her powers back…if she can survive being human long enough to clear her name.